The Three Pass Trek offers you the ultimate experience with wonderful journey through the Everest Gokyo region. 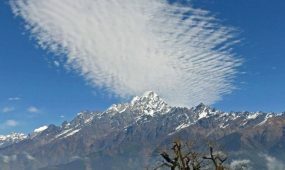 This route takes in all the highlights in terms of both mountain views and local tradition and culture and combines both of them with the unique and complete experience of Everest region. The Three Pass Trek fits best to the ambitious trekkers aiming to cross three of the highest passes the Kombo La, Cho La and the Ranju La. 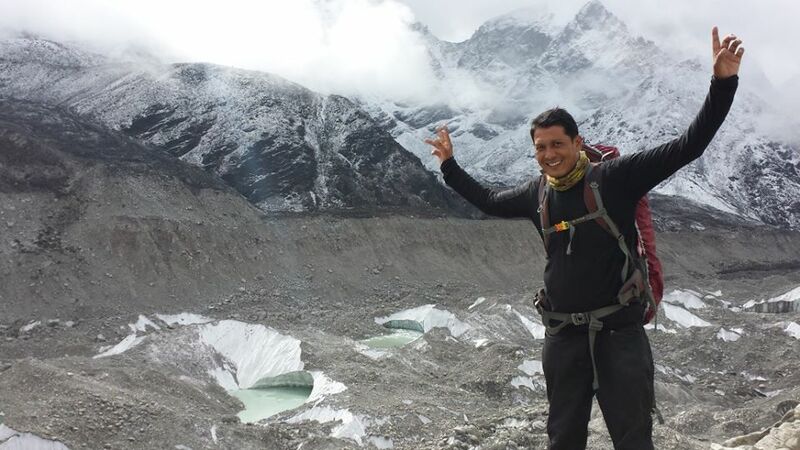 The Everest three passes trip is a physically requesting trekking experience which crosses three high passes connecting the four particular valleys of Bhotekoshi, Gokyo, Khumbu and Imjatse. Crossing the tough high trail of Ranjo la (5388 m), Cho La (5380 m) and Kongma La (5535 m) with hiking of the three pinnacles of GokyoRi (5483 m), Kalapathar (5545m) and Chukung (5550 m) and the climb to Everest Base Camp influence this ThreePass Trek the unique and everlasting trekking experience in Nepal. 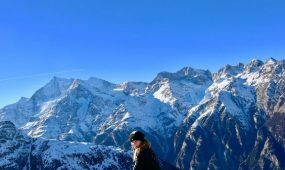 Granted with appalling perspectives of different high Mountains; Everest, Lhotse, AmaDablam, Makalu and numerous others, the Three Pass Trek guarantees you memorable encounter. 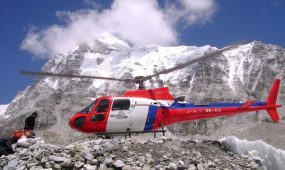 Trekkers usually fly from Kathmandu to Lukla to save time and energy before beginning the trek.The starting point of the Three Passes Trek is in the Mountain air terminal of Lukla, a thirty minute breathtaking flight from Kathmandu. This route also takes trekkers to remote and isolated Nangpa La Valley, Sherpa Village of Marlung and the Monastery Village of Thame. Today according to flight time, our guide will meet you at your hotel and takes you to the domestic airplane terminal to fly in to Lukla. Around Thirty five minutes of scenery flight, after you land to Lukla, breakfast at the cabin and prepare baggage for the traveler then walking begins through the stone cleared trails towards BhaiseKharka. It is few up downs to get in to Phakding going through a lot of prayer Rocks. After getting into the hotel at Pakhding, fresh up and short walk to the town or climb up to the Gompa to get adapt. Remain overnight at the hotel. After the breakfast, thetrail leads through a delightful pine forest, along DudhKoshi River crossing numerous suspension bridges and easy uphill walk to the Monjo and Jorsole from where Sagarmatha National National Park starts. National parks permit check point with the beautiful view of glistering Mt. Thamserku (6618m). Cross another suspension bridge and proceed forward to Tenzing-Hillary suspension bridge. In the mean time you will have extraordinary view of Mt. Everest, Mt. Lhotse, and Mt. KusumKhangru. Around three hours of walking through pine forest at last finally reach the beautiful village Namche Bazaar. Today it’s a scheduled acclimatization day of the trek. Due to intense mountain sickness doctor prescribe to hold no less than one additional night. 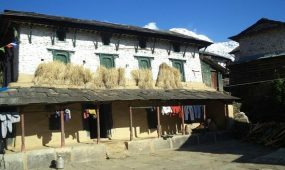 Today you will visit Museum, visit Khumjung town and Kongde town. You can appreciate the stunning view of Mt. 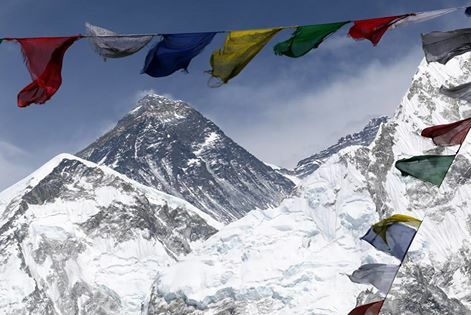 Everest and its surrounding tops with Sherpa culture. Namche Bazaar has ATM’s, Restaurant, bakery and colorful market. You can also visit Thame, which is old Sherpa town and find out about the different plants and creature life of the Everest locale. Today is an easy day; the trail leads respectably level with eminent view of Mt. Everest, Nuptse, Lhotse, AmaDablam and close up view of Thamserku, Khangtaiga. The trail proceeds with wild lives spot of musk deer (a herd of Himalayan Thar), colorful pheasant (Danphe, National bird). After two hours of walk from DudhKoshi River suspension bridge, pine and juniper forest bring you to Tenboche. Well known Tengboche monastery with the foundation of AmaDablam, Nupte, Mt. Everest and many more peaks. In the middle of October/November in full moon colorful Mani Rimdu celebration is held here with masked dancing and Tibetan musical drama in the religious community yard. Today after the breakfast, resume the trek.Today’s trek begin with a short descend, a little town with Chortens and Mani stone. We will have wonderful walking through tree line for thirty minutes, and after crossing the bridge, as tree line ends, we will begin to walk in dry and deserted hill. Walking through traditional Sherpa valley like Pangboche and Shomare before we finally reach the Dingboche valley for overnight. From Dingboche (4410m) we begin the trek to Chhukung (4730m), which is around four hours of awesome mountain climb. The trail step by step climbs up to Chhukung. In transit, we can see scores of summer cabins made particularly to keep domesticated animals in the late spring and we likewise can appreciate the wonderful mountain sees in and around the valley. Remain overnight at Chhukung. We start the day after the breakfast at Chukung, we take a dental hike alongside the valley and this is a major day as we ascend to Kongma La Pass. From the bypass, we descend steeply to Khumbu Glacier, on which we cross, clambering up the moraines at the far side to achieve the knoll by the Italian high altitude research pyramid. For today, the last descend is the most extreme path turns north through Khumbu Glacier which takes us to Lobuch. From Lebouche we encounter astonishing views of Pumori and Nuptse. Our trail moves along the sidelong moraine of the Khubu Glacier. 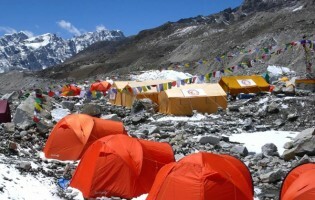 This is our day to achieve Everest Base Camp. Ahead on the trail we see the peak of the north edge of Everest alongside Pumori, Mahalangur, Lingtern, Khumbutse, Nuptse and different mountains. Going through tough hills, moraines and streams before achieving the base camp of the world’s tallest mountain, Everest. Little rising takes us to ThangmaRiju.We’ll take as much time as is needed examining the Khumbu ice fall, visit ice territories and ice sheet part in Everest Base Camp, appreciate the considerable Himalayas and make best photographs and Videos, at that point return back to Gorekshep for the lunch. Going through tough hills, moraines and streams before achieving the base camp of the world’s tallest mountain, Everest. After the breakfast, we begin our trek to Kala Patthar, early in the morning in order to catch remarkable views of the first light of the sun shining on Mt. Everest. But we need to be prepared for trekking in the dark and cold temperature. 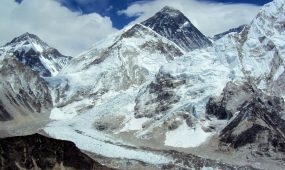 The trek will be difficult as there is constantly a chance for cold winds which are quite common.After several hours of walking, we will be on the pinnacle of Kala Patthar.The summit of Kala Patter or “Black Rock” gives us the superb large views of Mt. Everest (8848m/29000ft) together with the whole spread of Khumbu Himalayas- really an awesome view of the very best mountain in the world. After breakfast, we begin our trekking towards Cho La Pass. The Cho Lo Pass is a gateway trek for the Gokyo valley and Everest Base Camp. After climbing the high and rough mountain, crossing the sacred,which lead us to summit of Cho La Pass. It is a charming, beautiful and simple despite the fact that the terrible climate and poor conditions can make this a difficult trek a few times. After we head towards Thagnak a small Sherpa village then the trail takes us to Gokyo. Climb tough at the edge of Dudhkoshi river bank is GokyoRi. One of the routes leading to Everest Base camp, numerous trekkers picked Gokyo trail to explore region of Himalayas. It is dominatingly Buddhist region and one of the most amazing settlements in the world. 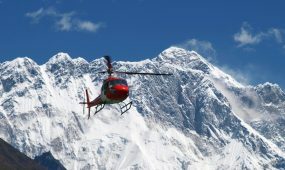 You will witness mountain peaks; Everest, Lhotse, Cho Oyu, Makalu and Kanchenjunga, from the valley. From Gokyo we will be heading toward Renjo La Pass. This pass lies in western part of the Everest Base Camp valley from where you will be able to see astonishing mountains view. This trek is considered as a standout amongst other trek in Nepal. From GokyoRi you can see the all surrounding views of different mountains like Mt. 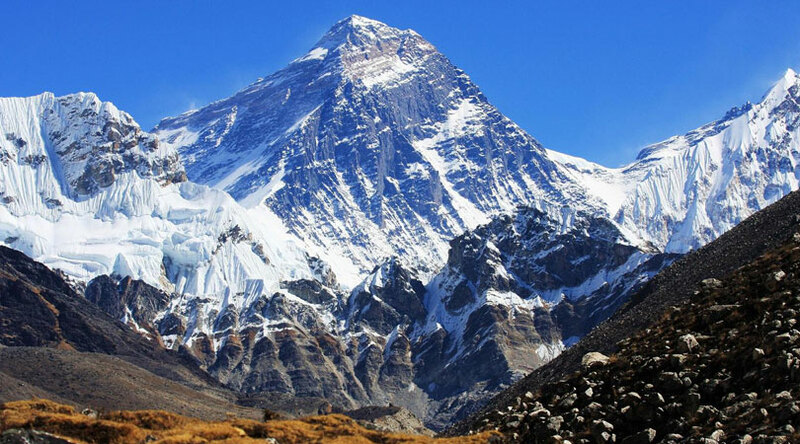 Cho Oyu, Mt Everest, Mt Lhotse, Lhotse Star, Mt Makalu, Mt Pumori, Mt Amadablam. From Marlung the trail head to Namchhe Bazaarthrough a few little towns, for example, Chanakpa, Taranga, crosses through the yak field to achieve Namchhe Bazaar. After Breakfast, we trek down and cross the DudhKoshi River. This is the beginning of the most beautiful and wonderful trekking experience.At that point we trek with the river side until Phakding. And finally today the trail leads you back to Lukla. A thirty minute flight back to Kathmandu from Lukla. Our tour guide will transfer you to your hotel. Free time to explore Kathmandu. A leisure day in Kathmandu which can be used for exploring. You can visit holy temples like: Pashupathinath, swyambhunath and other place. Our airport representative will check your flight tickets and transfer you to the airport before two hours from your flight. Airport / Hotel / Airport pick up & drop by private vehicle . All your stander Meals (breakfast, lunch and dinner) during the trek and a cup of tea or coffee during the breakfast only. A highly experienced, helpful and friendly government license holder Guide (Nepal Guide Info Team ) , his food, accommodation, salary, insurance, equipments, medicine. Round Trip flight fare Kathmandu – Lukla – Kathmandu & domestic airport taxes in Kathmandu and Lukla airport for you and guide. A Porter (carrier) including all his expenses with full insurence. Medical supplies, first aid kit box. Food, hotel extra night whilst in Kathmandu.